The Challenge five-hole drill makes it easy to prepare presentations, manuals or reports for use in three-ring binders. 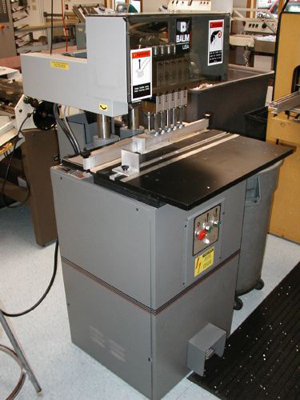 This machine makes it possible to drill clean, consistent holes varying from 1/8" to over 1/2" in diameter in virtually any position on a page. The Challenge drill can also handle a variety of stock sizes and thicknesses, including as many as 250 sheets at a time. 5 holes with one operation.